Happy Pancake day to all our readers and followers. 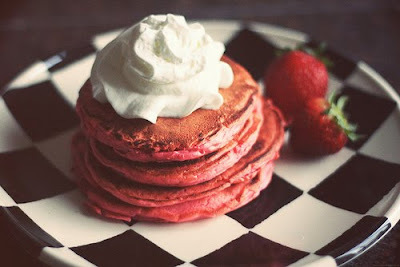 We'd thought we'd share these cutepink pancakes with you. We love ours simply with a little lemon and a sprinkle of sugar. How do you eat yours? honey, natural yogurt and toasted pistachios is a winner. mmm!